Vitigliano is the name of a tiny “borgo“, an ancient farming hamlet, grouped around an ancient watch tower that formed part of the defences of the castle of Panzano in central Chianti. In fact, although the first documentation of Vitigliano dates back to 1085, the original settlement was probably Roman. 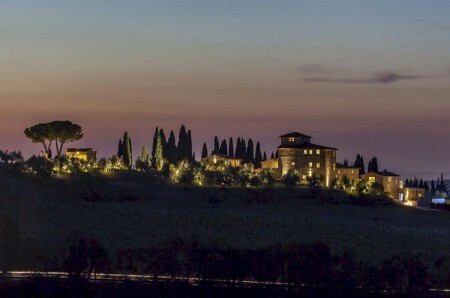 This year, 2014, the restoration of the property was completed, resulting in the opportunity for a unique boutique hotel and spa experience in Tuscany. 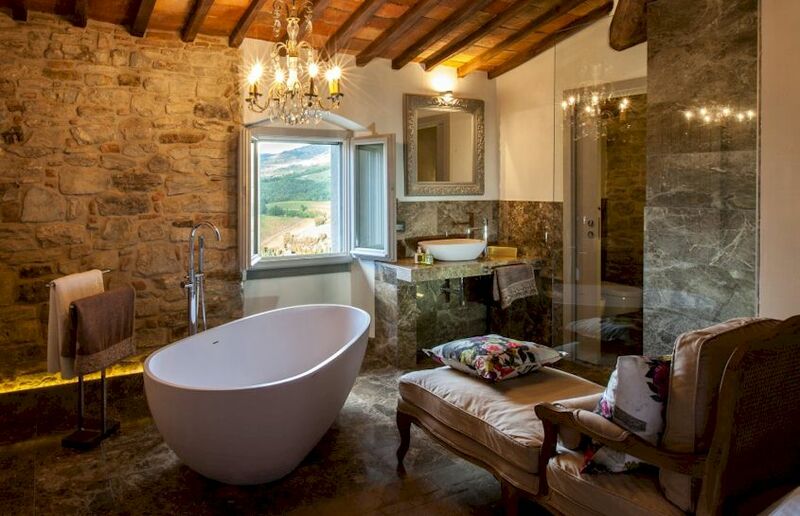 The owner, Marion Hattemer, and her husband, Kiyan, have searched all over Italy (and elsewhere in the world) for unique architectural and interior decorative elements which have been brought together in this amazing restoration project. 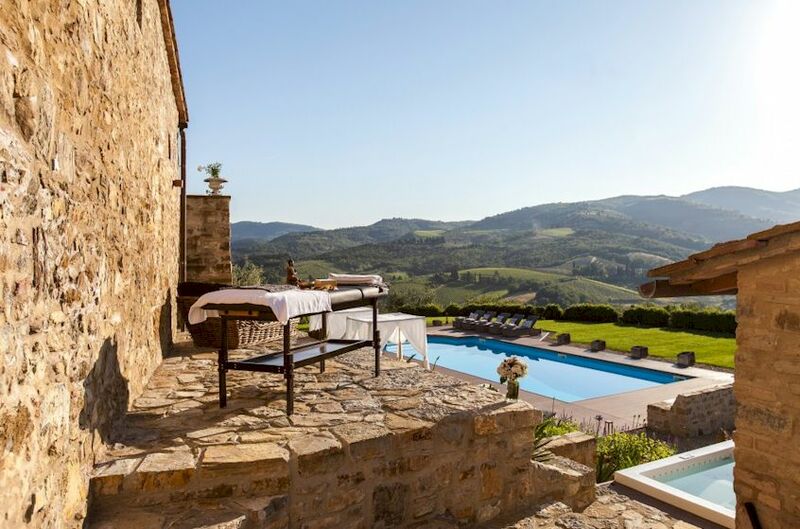 While the look and feel of the original Tuscan vernacular architecture have been beautifully preserved, the interiors and facilities are ultramodern and wonderfully designed. This hotel and spa offers seven luxurious and spacious suites that occupy 25% of the property. The suites can be rented individually or all together. The other three-quarters of the space comprises communal facilities normally available only in large luxury hotels. These include a spa, a bath house with Turkish bath, a conference room and a chapel. 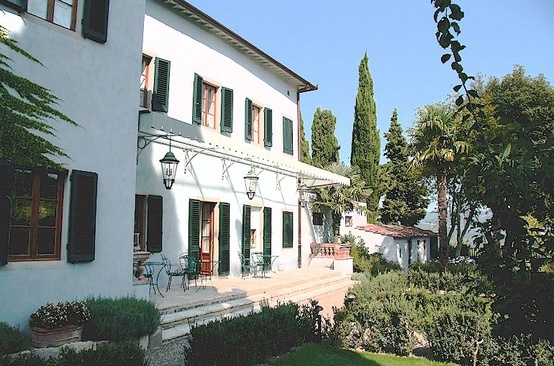 The five hectares of land belonging to the estate, which include the olive groves and holm oak forests, have been landscaped in such a way as to create seven tranquil and individual open-air retreats (chapel forecourt, patio, terrace with sunrise views, terrace with sunset views, yoga plateau, pool with daybeds, spa terrace), perfect for secluded privacy or convivial get-togethers. 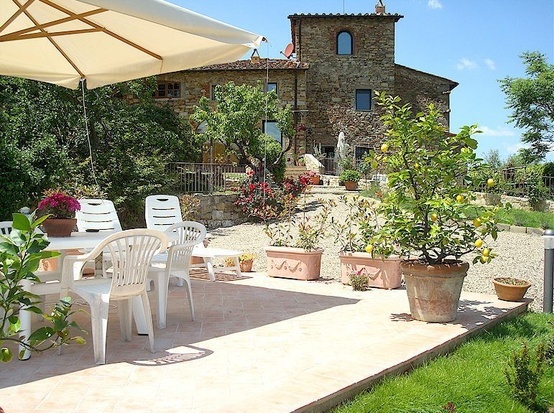 With its chapel and dining areas, Vitigliano is also ideal for your wedding in Tuscany. 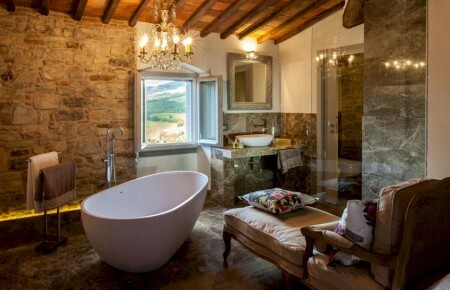 More about Vitigliano private hotel and spa in Tuscany.